Blaser USA has once again generously donated a beautifully engraved F3 shotgun to Northbrook Sports Club to benefit the USA Sporting Clays Team. The F3 Black Scroll shotgun with a wood grade 9 is valued at $14,225. It is currently setup as a Vantage, but the winner can change to a competition flat rib or SuperSport model at no charge. Tickets are $100 each, and only 250 will be sold. Flyer information. E-Z-Go has also again donated two clays carts to the Illinois Sporting Clays Association, also to benefit USASCT. Every ticket gives you TWO chances to win. Each cart is a model S-4 and is customizable by the winner; you choose your seat, body color and top! Tickets are $20 each, or you can purchase six for $100. See the flyer. 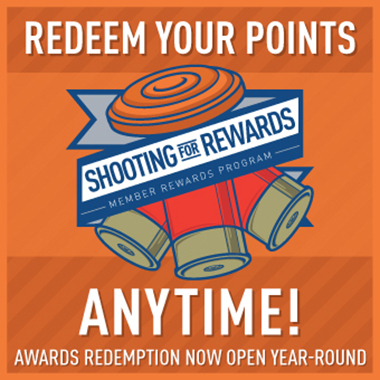 All raffle winners will be drawn in October during the National Sporting Clays Championship. To buy your tickets, contact Brett Seibert at 847-223-5700. All proceeds will benefit NSCA-USA Sporting Clays Team. The Blaser F3 raffle is sponsored by Northbrook Sports Club and the E-Z-Go raffle is sponsored by the Illinois Sporting Clays Association.